Contentful is a powerful CMS (Content Management System) that lets users create, manage and distribute content. Unlike most CMS, Contentful gives users the total freedom to create their own content model so that they can decide which content they want to manage. The state-of-the-art software platform provides APIs enabling users to deliver content across multiple channels such as websites, mobile apps (iOS, Android and Windows Phone) or any other platform of choice (from Google Glass to infinity). With an uncluttered user interface, this software is an efficient platform for creating and managing an enterprise’s content online, either alone or in team. Users can assign custom roles and permissions to team members, add validations depending on the kind of content they have to insert and add media such as images, documents, sounds or video. Dec 17: General Catalyst leads 28 Mio USD Series C financing for more aggressive global market penetration. May 16: Benchmark Capital leads 13 Mio USD Series B financing to support the company’s entry in the US market. April 14: Balderton led a Series A financing for for the company. 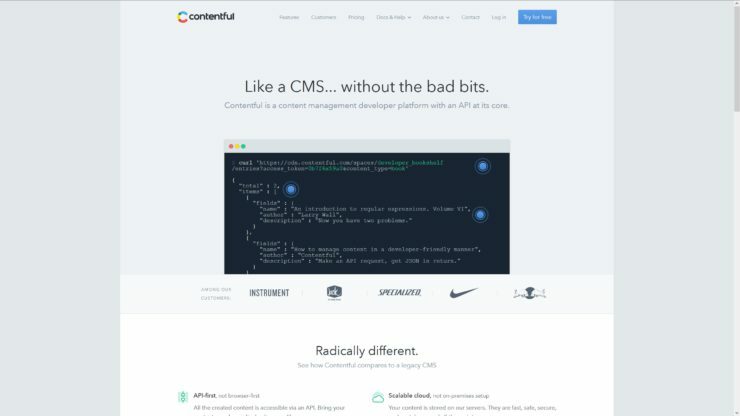 Berlin’s Contentful raises $13 million to grow its API-driven content management system in the U.S.